A day late, but here's a glimpse at what I was working on last week. A friend from university called me 2-3 months ago to tell me she's getting married. I showed the card I sent them then here. 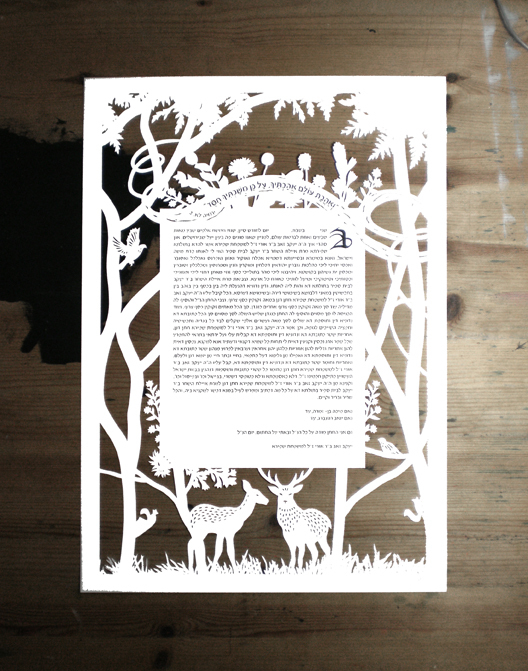 She asked me to make a papercut ketubah for her. I was very flattered she even entertained the notion to let me do this, and jumped at the chance to give such an awesome wedding present. Ayelet & Kobi are getting married this Tuesday in Jerusalem. Congratulations you guys!